Did you know that you can achieve a whiter and more confident smile in as little as one appointment at Lake Dental? Our professional team are proud to offer both in-chair whitening (YES! We do Zoom! whitening!) or at-home whitening kits to help you achieve the smile of your dreams in no time! We only use products from the most trusted and highest quality sources (Zoom! is renowned around the world), so you can rest easy knowing that your smile is in safe hands. If you’ve got a special event coming up, or simply wish to transform your smile into the whiter, brighter, more beautiful version you deserve, then teeth whitening is the perfect option for you. At Lake Dental, we are constantly keeping up-to-date with modern advancements in dental procedures and treatments. This allows us to provide the highest quality of oral care available. We also only ever utilise the most trusted and durable materials, so you can be assured that our teeth whitening services (whether in-chair or at-home) provide safe and reliable results, every time. 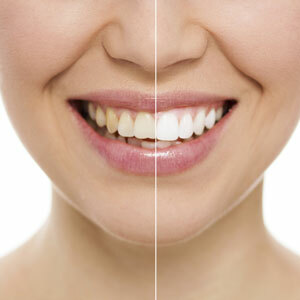 Ask Us About Teeth Whitening Today! Whether you’re considering our in-chair whitening service or requesting an at-home whitening kit, it’s important that you schedule a consultation with our friendly team to get started! Before you begin your selected teeth whitening treatment, our dentist must assess your teeth and gums to ensure you’re suitable for this process. We do this through radiographs, as well as by performing an oral examination to rule out any signs of gum disease, cavities, or tooth decay. If any of these issues are present, then we must first address them before beginning your teeth whitening treatment. Are you ready to achieve the smile of your dreams? Contact (07) 3879 8999 today to get started with your teeth whitening treatment! —Crowns and Bridges - SAME DAY!